You could buy a 50% share of this property for £39,975 through the FairShare shared ownership scheme. See the FairShare illustration below for typical monthly mortgage and rent costs. 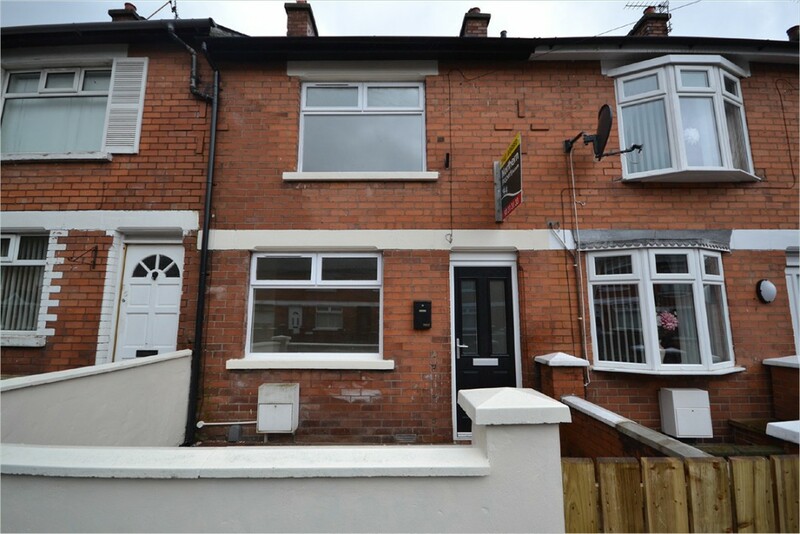 Beautifully presented mid-terrace property located just off the Falls Road in West Belfast. Number 23 Beechmount Crescent has been recently renovated leaving nothing for its new owner to do but move in. The property comprises of a large living room with newly fitted laminate flooring and uPVC front door leading onto the modern fully fitted kitchen. The kitchen is brand new with stunning cream shaker style units, modern ceramic wall tiles, stainless steel extractor fan and vinyl flooring. To the rear of the property is the family bathroom comprising of a contemporary three piece suite to include bath with overhead shower, part tiled walls and vinyl flooring. Upstairs all three bedrooms are well proportioned with carpet flooring and neutral décor. Furthermore this property benefits from gas heating with newly installed boiler, double glazing, electric smoke alarms and enclosed paved forecourt. This really is a first time buyer opportunity.